Prepare zoodles by julienne-cutting or peeling the zucchini, carrots, onion and red pepper into long, thin, noodle-like strips. Place cut veggies and crushed garlic into a bowl, mix with half of the olive oil, salt and pepper and then set aside. Sauté the vegetable mixture on the stove in separate sauté pan over medium heat. Stir lightly until soft for about 2 minutes. Heat tomato sauce and set aside. Prepare the chicken by lightly coating the pounded-out breasts with the rest of the olive oil and add salt and pepper. 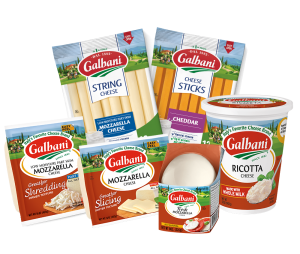 Then, grill both sides of the chicken breasts on medium-high heat for 10-15 minutes, until reaching an internal cooked temperature of 165 degrees F.
Top with sliced mozzarella cheese, turn off grill, and close lid to melt the cheese. 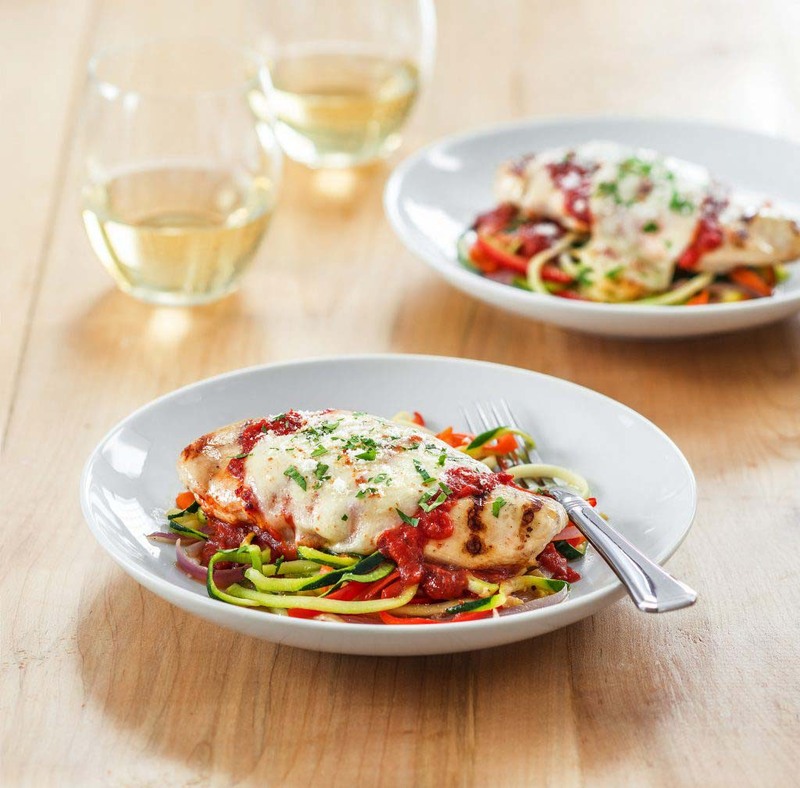 Plate the zoodles, add a spoonful of tomato sauce and top with the grilled chicken breast and sprinkle with Parmesan cheese.